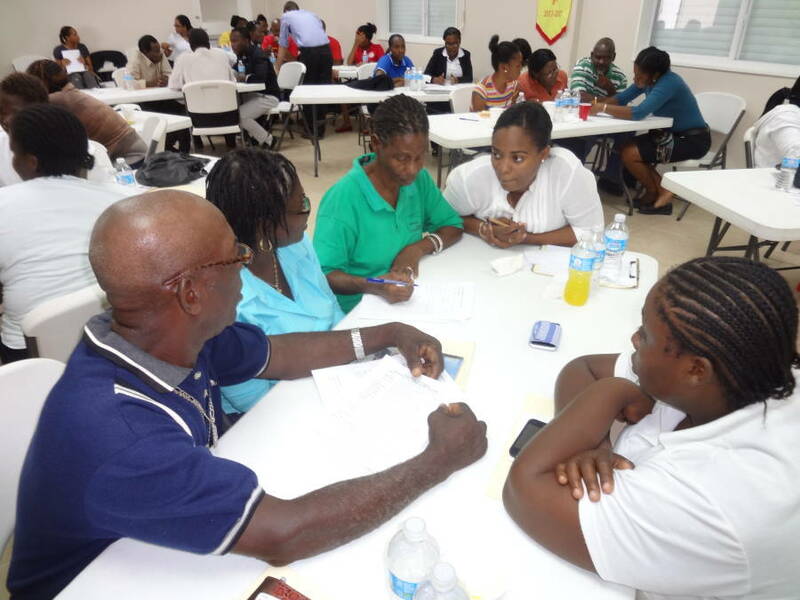 The Grenada Market Access and Rural Enterprise Development Programme (MAREP) conducted its first Direct Implementation by Beneficiaries (DIB) training. 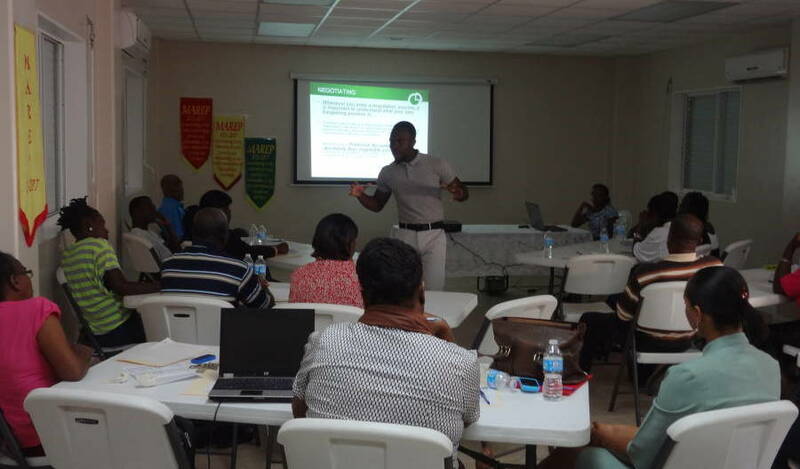 This training was for the nine (9) rural organisations whose projects were successfully approved under the Rural Investment Fund (RIF) at a cost of EC$650,000. The two day training sessions was held on 5–6 November 2014 at the Gouyave Fish Market Conference Room. DIB is an important stage of implementation within MAREP’s programme. The purpose of the DIB Training was to provide capacity building and project implementation knowledge/skills to enable the organisations to manage, control and take ownership of their individual projects. 26 members from 9 rural organisations were in attendance namely: River Sallee Father’s Organization (RFO); Mt Craven/Mt Rodney Disaster Environmental Preparedness Mitigation Organization (MCDEPMO); Mt Rich Youth Cultural Environmental Developmental Organization (MYCEDO); Mt Craven/Mt Rodney Women’s Organization; Clozier Development Committee; River Sallee Women’s Organization; La Tante Development Organization; North East Farmer Organization (NEFO) and Florida All-Stars Steel Orchestra. The two day training was participatory in nature and MAREP Staff presented on varying areas such as Financial Management, Human Resource Management, Monitoring and Evaluation and Project Management. MAREP is proud to have successfully reached this stage of implementation, as part of the programme’s commitment to develop administrative skills of rural organisations to directly manage funds from the RIF. This in turn, will translate to accountability and transparency of sustainable projects.